Hello! 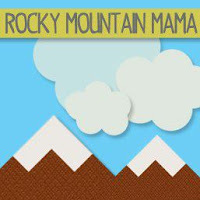 I am Triana from Rocky Mountain Mama. I am a stay at home mother of two and a former elementary school teacher. Halloween is one of my favorite holidays. 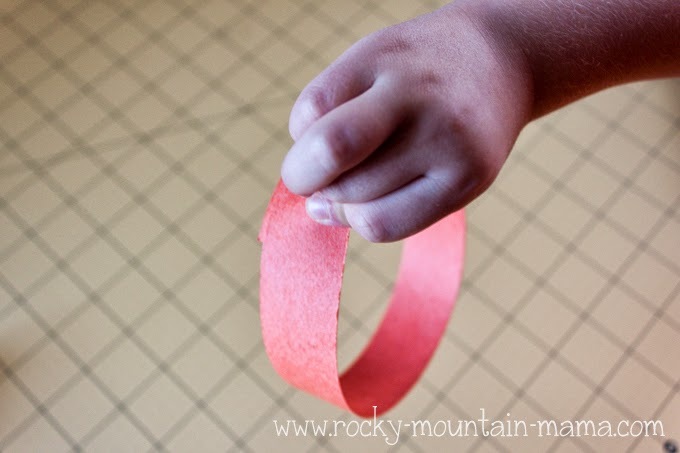 I love decorating and I love doing fun crafts with the kids. 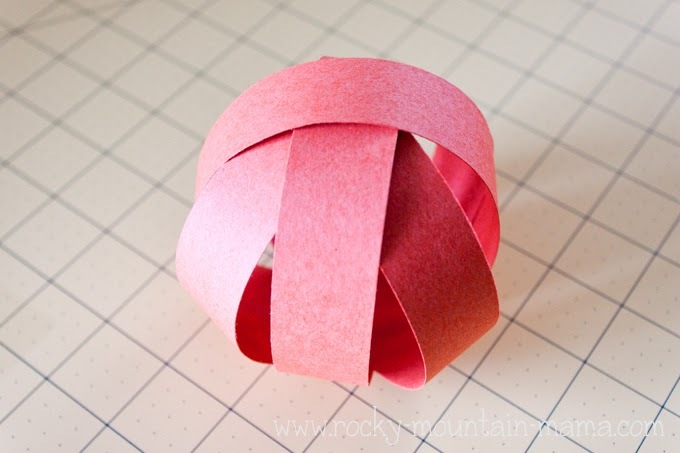 When I was a teacher, this was one of my favorite crafts to do with my class. 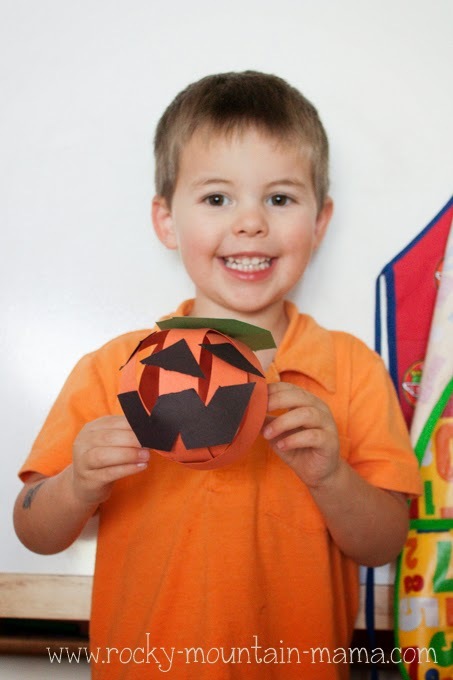 Christopher had a lot of fun making his own pumpkin to put in his play room. 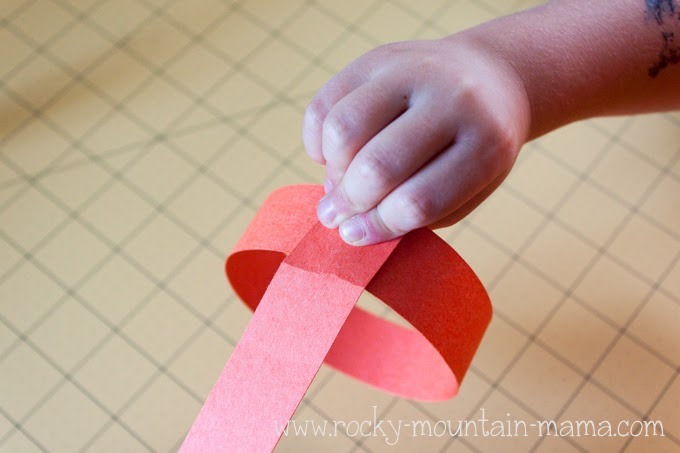 Step 1: Prepare the paper for your little one. You need 4 1″ strips of orange. I made a 3×3″ square of green, a 3×3″ square of black and another 3×6″ piece of black, but these don’t have to be exact. Scrap pieces will do for the green and black. 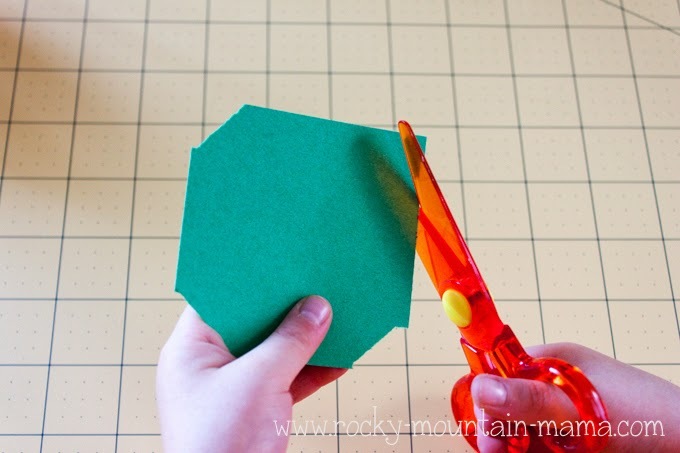 Step 2: Put a dot of glue on one end of your first piece of orange paper. 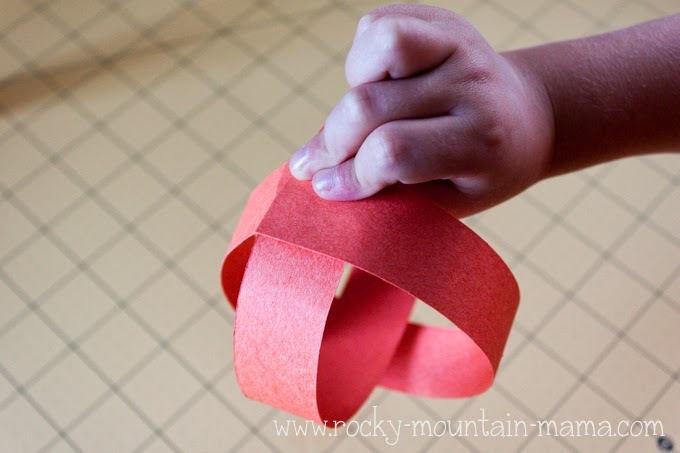 Wrap it around to make a loop. Hold until dry. Step 3: Put a dot of glue on the top of the loop you just made. 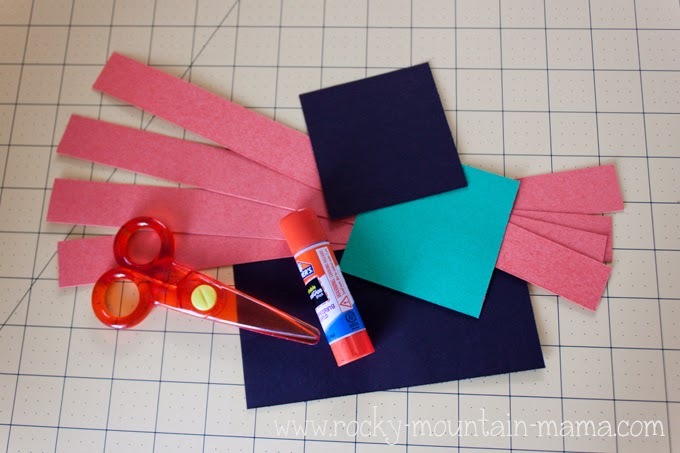 Add another strip of orange, perpendicular to your first loop. Make a second loop around your first one. Hold until dry. 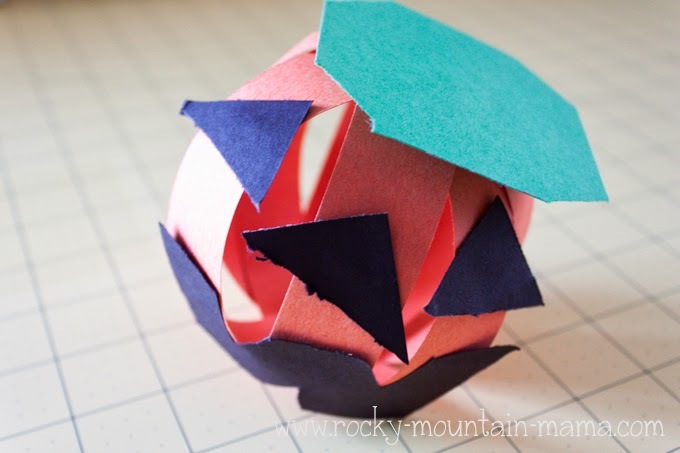 Step 4: Add the last two strips of orange using the same process as above until you have a sphere like shape. This will be your pumpkin! Step 6: Have your little one cut 3 corners off of the black square. These will become the eyes and the nose. 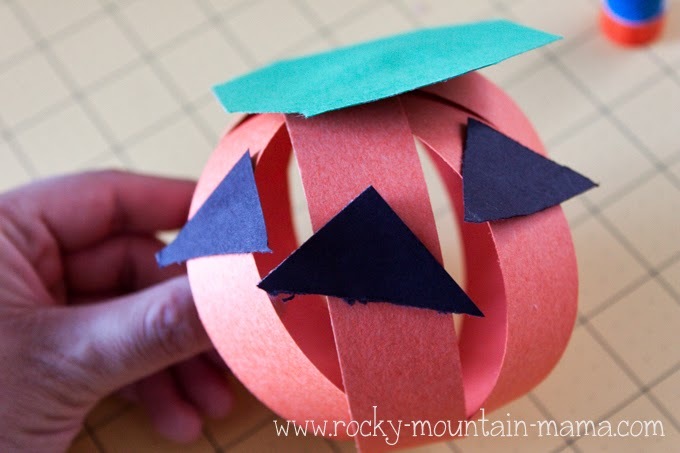 Glue them onto your pumpkin. 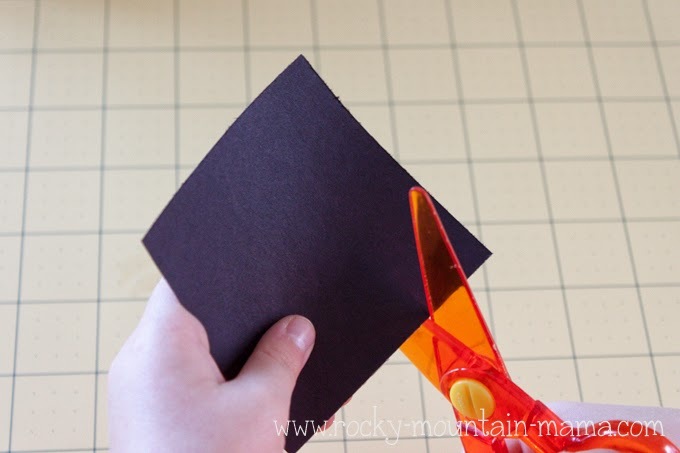 Step 7: Using the other piece of black paper, help your little one cut out a mouth. Glue onto your pumpkin. Thank you so much to Vanessa for giving me the opportunity to guest blog for her! I hope you will come check out some of my other tutorials as well as rants about being a mother of two.